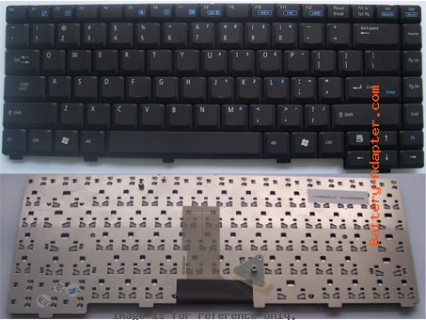 The actual laptop is ASUS A6JM, but this instruction should apply to removal the Asus A3 A3000 & A6 A6000 series laptop keyboard. First of all, turn off the ASUS A6 and disconnect the power adapter, remove the battery. 1. Turn the laptop upside down. Remove 2 screws showed on the picture. 2. 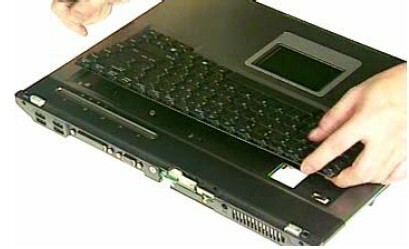 Unlock 3 keyboard latches by your hand. 3. 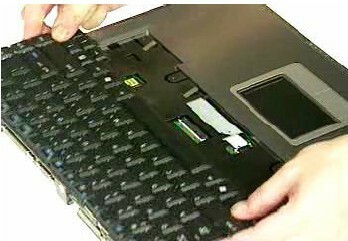 Unlock the keyboard cable connector and disconnect the keyboard cable. 5. Now, you can install you new ASUS A6 keyboard.